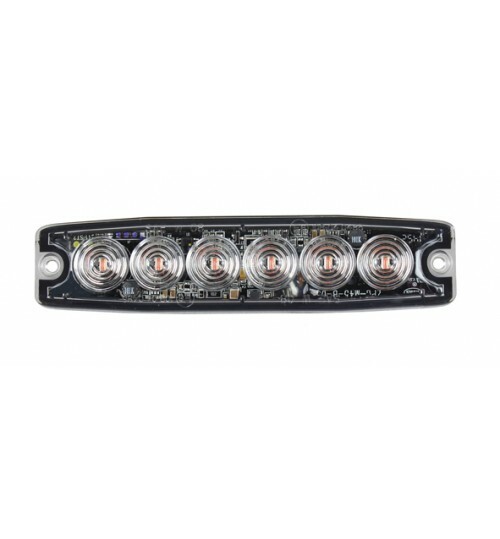 A dual voltage light head with 6 Amber LEDs. Super low profile of just 7mm with 23 selectable flash patterns. This warning light can be synchronized with additional units and can flash simultaneously or alternately if required. The built in memory recalls last flash pattern on start up. 3M self-adhesive backing or surfacemount with screw fixing.